The USDA surveys farm employers to obtain data on the average hourly earnings of farm workers. The average earnings of all hired farm workers in 2016 were $13 an hour, about 60 percent of the average $21.60 of nonfarm production workers. 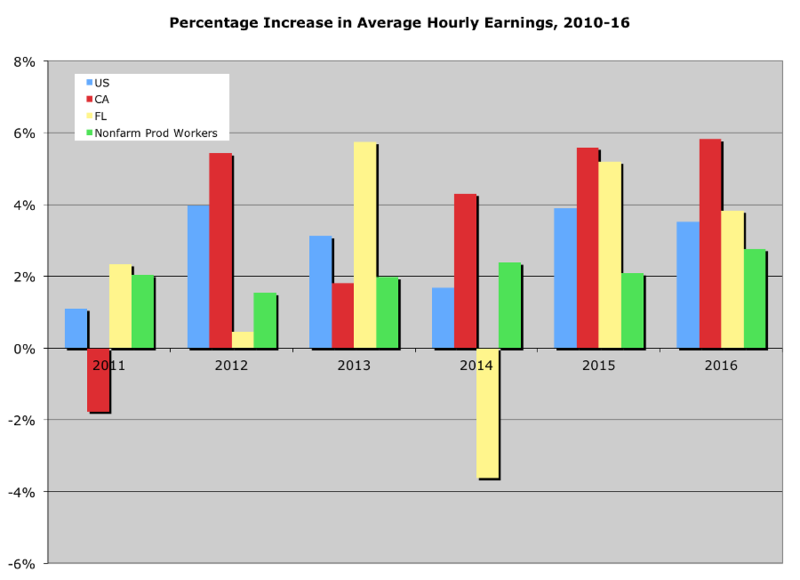 Between 2011 and 2016, the average hourly earnings of farm workers rose 19 percent, compared to 13 percent for nonfarm production workers. Nonfarm earnings rose steadily at two percent a year, while farm worker earnings rose more unevenly, rising in some years and falling in others, especially in California and Florida.